Hypermobility Syndrome, or weak ligaments and flexible joints, can cause chronic aches and pains. Like most diseases hypermobility syndrome can have mild or severe presentations. Many people may simply be predisposed to ankle sprains and weak ligaments. Others may describe themselves as double jointed or an accident waiting to happen. Marfans and Ehlers Danlos Syndromes are names for more severe forms of the disease however there is no universal agreement that they are the same thing. One of the classic signs of Hypermobility Syndrome is joints that move beyond their normal expected range. Thumbs can bend back to touch the forearm, the little finger may bend back more than 90 degrees, and there can be hyper-extensible elbows and knees. Patients with Hypermobility Syndrome can often bend over and can touch their hands flat on the ground. They may have tall parents and often the fathers have a high arched palate. The onset of symptoms can occur at any age. Sometimes they are mild enough that no treatment at all is required. Other times they include pain in the knees, fingers, hips, and elbows, plantar fasciitis, predisposition to osteoarthritis, prolapsing discs and dislocating shoulders, hips or knees. 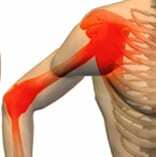 It is estimated that 10%-15% of normal people have hypermobile joints or joints that can move beyond the normal range of motion. Hypermobile joints tend to be inherited in specific genes passed on by parents to their children. Genes that are responsible for the production of collagen, an important protein that helps to glue tissues together, are suspected of playing a role. Signs of the syndrome are the ability to place the palms of the hands on the floor with the knees fully extended, hyperextension of the knee or elbow beyond 10 degrees, and the ability to touch the thumb to the forearm. Joint hypermobility syndrome is diagnosed by examining affected joints and noting that they easily move beyond the normal range expected. For example, the middle of the fingers may bend backward more than usual. Other associated signs and symptoms may include migraine, TMJ syndrome, varicose veins, neuropathic pain, dysautonomia, mitral valve prolapse, reflux, irritable bowel, interstitial cystitis, sleep disorders, anxiety, and poor response to anesthetics. Because the joints are capable of excessive motion in people with the joint hypermobility syndrome, they are susceptible to injury. Hypermobility may occur in a multiple joints or only in a few joints. Treatments are customized for each individual based on their particular manifestations. 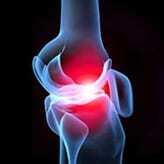 Joint pains can be relieved by medications for pain or inflammation. Proper physical fitness exercise can strengthen muscles and stability, but the nature of the exercise should be designed to avoid injury to joints. Joint hypermobility tends to decrease with aging as we become naturally less flexible. Hypermobility syndrome can be associated with numerous other symptoms as well. It is often accompanied by an intense sense of exhaustion, chronic pain and failure to receive adequate relief of symptoms. That may lead to frustration, resentment, anger and ultimately depression. These emotional influences can amplify pain, but they are not the cause of it. Fibromyalgia causes widespread chronic pain in muscles and is identified by multiple ‘tender points’ at specific sites in the body. Hypermobility and fibromyalgia occur together in the same person more often than one would expect on the basis of a chance happening. It does not mean that they are part of the same condition however. For example proprioception, which means knowing where parts of one’s body are in space, has been shown to be diminished in patients with Hypermobility Syndrome. Treatments for Hypermobility Syndrome include patient education, nutrition, physical therapy, non-opiate medications, braces and injections. Prolotherapy is a special injection type that is intended to regrow, or regenerate ligaments. As such it is a good idea to consider it, and other regenerative medicine techniques such as Platelet Rich Plasma (PRP), and Stem Cell implantation. At Piedmont Physical Medicine and Rehabilitation, PA we take a “Reduce Total Load” approach to Hypermobility patients. We recognize that all cases are not alike and that there is likely no singular approach that will address all of the signs and symptoms that occur. By reducing total load (the total number of things that can interfere with wellness) and by offering those treatments that can both offer relief and help the body maintain itself or rejuvenate, patients report improved function, less pain, and a better quality of life.